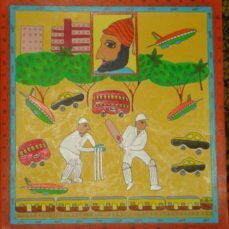 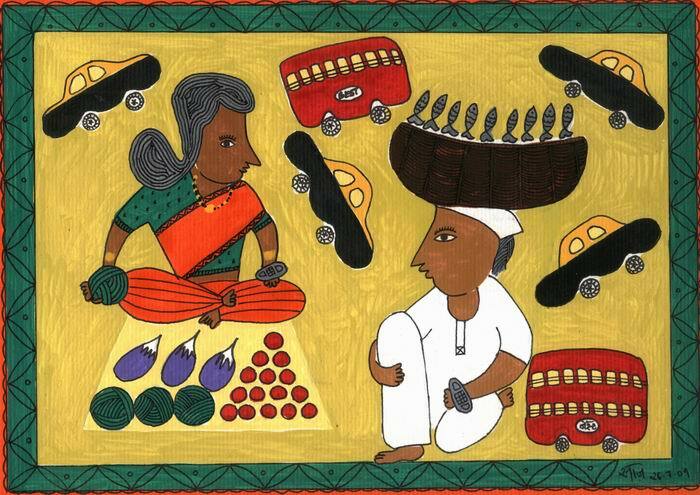 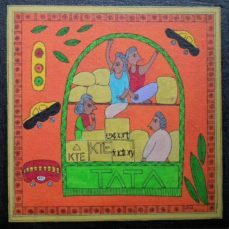 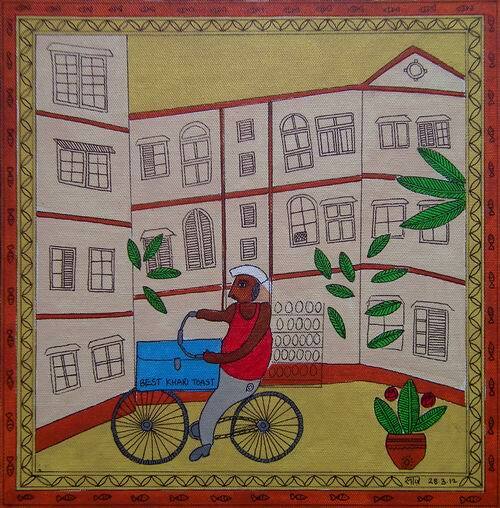 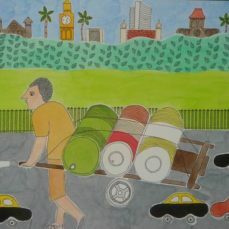 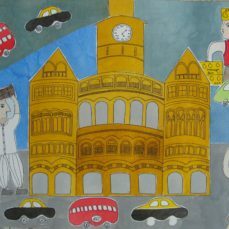 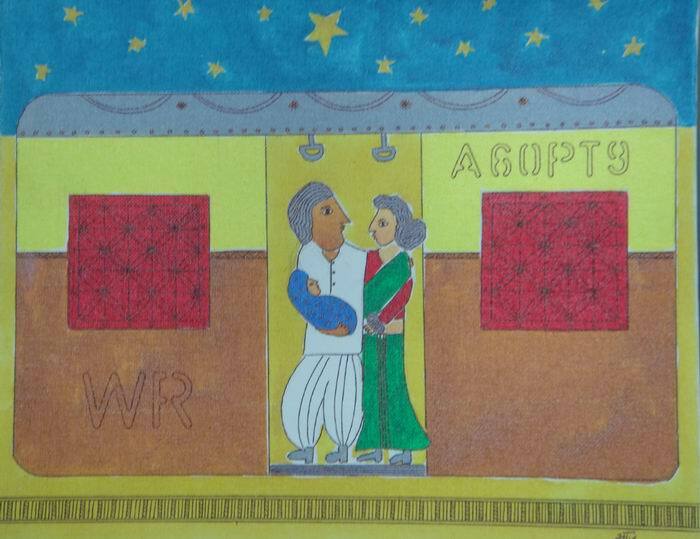 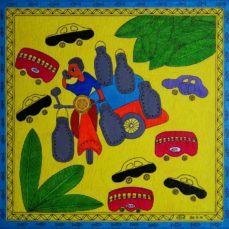 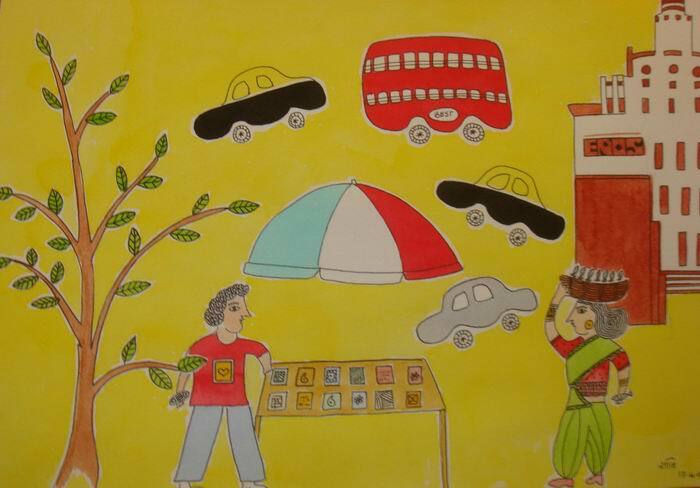 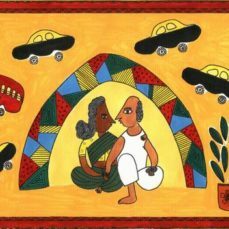 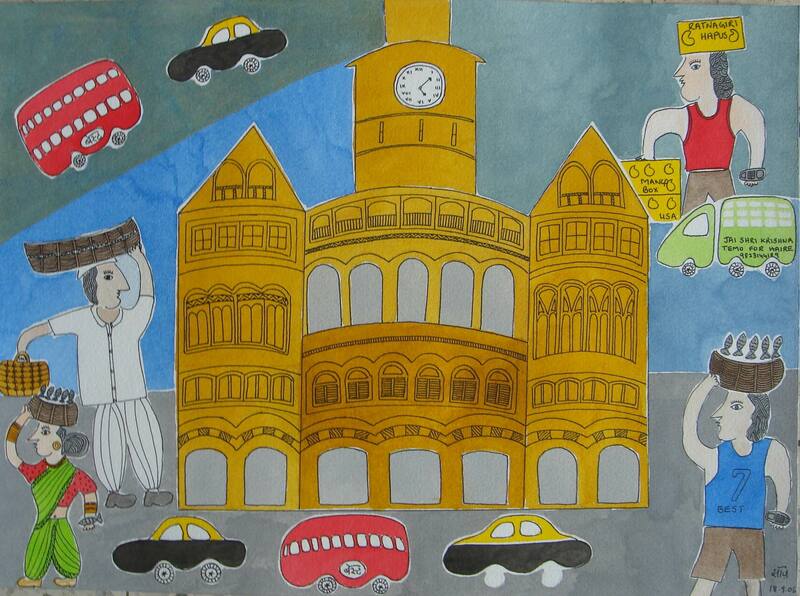 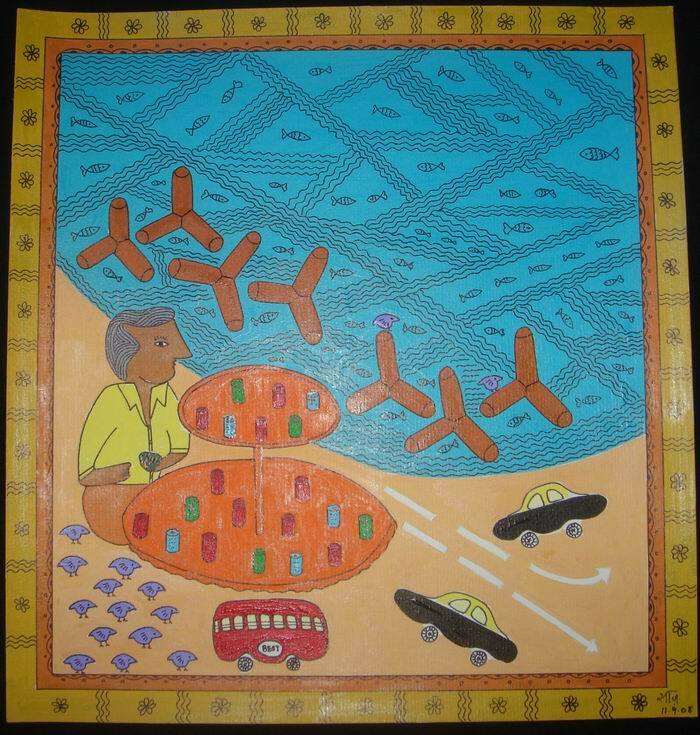 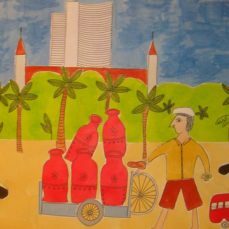 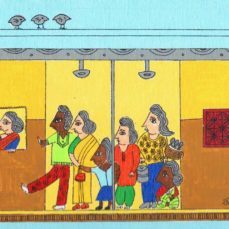 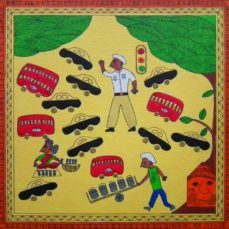 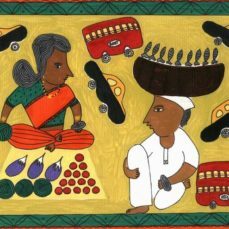 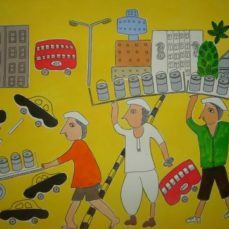 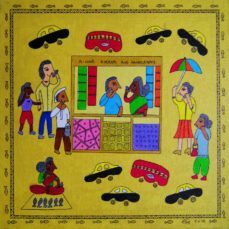 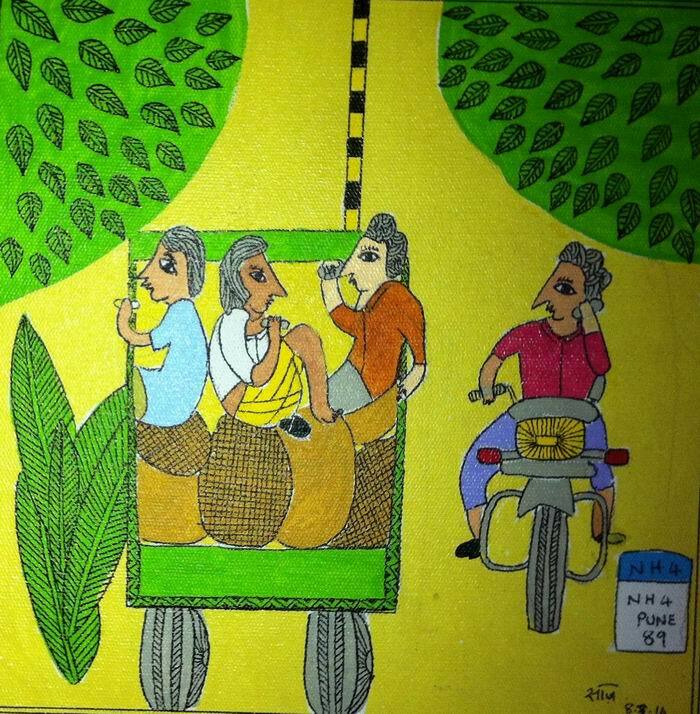 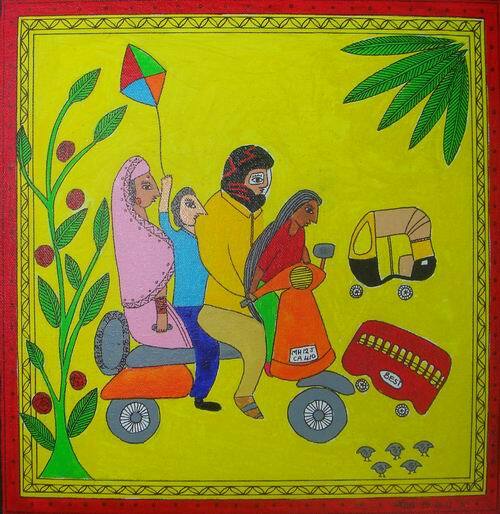 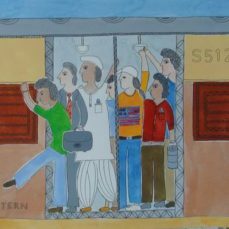 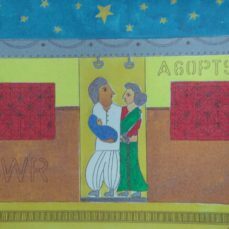 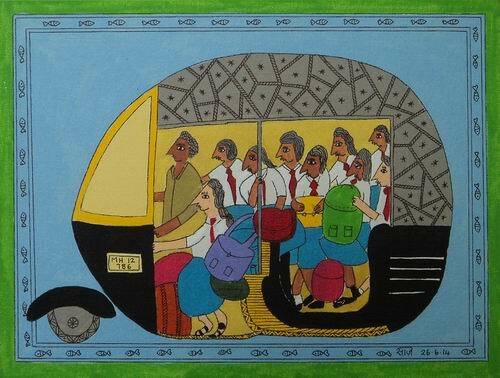 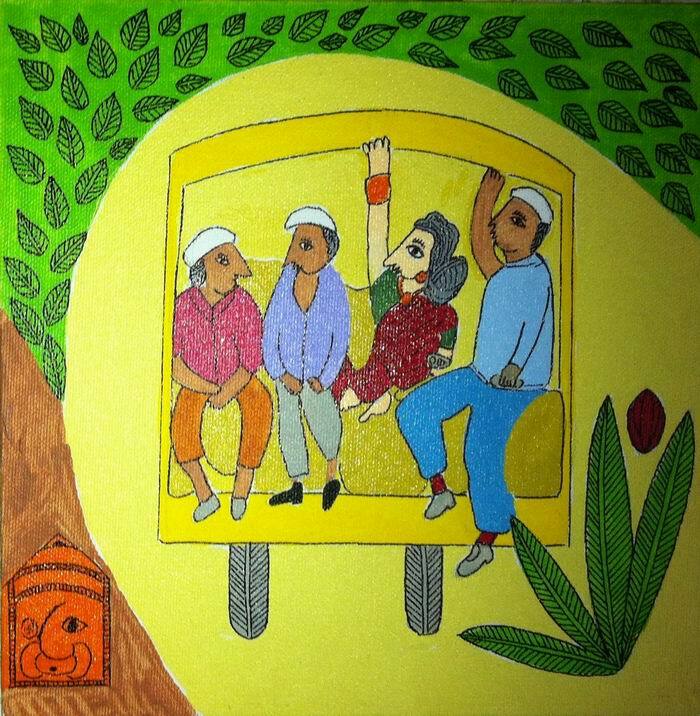 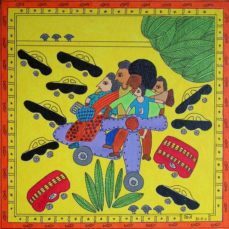 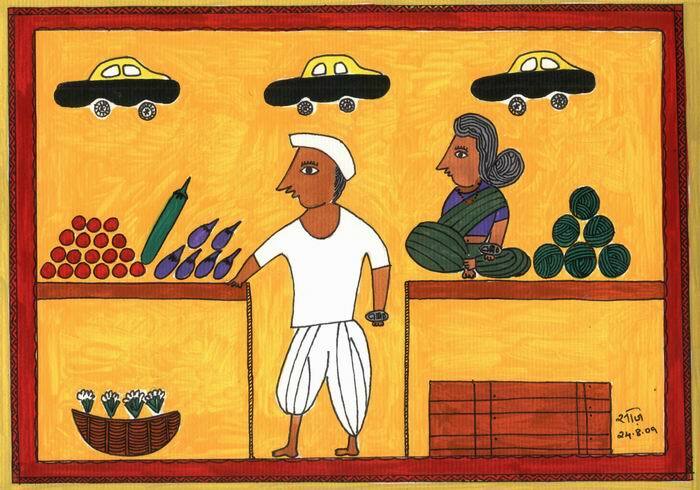 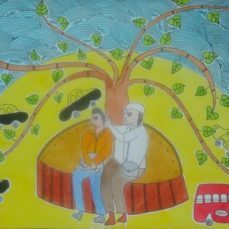 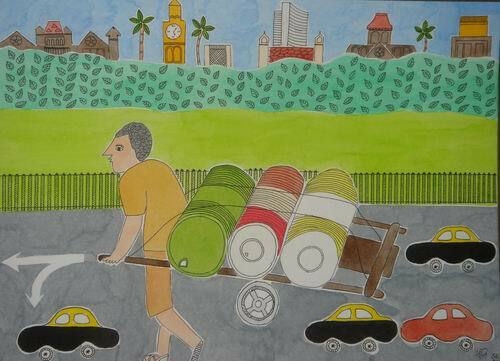 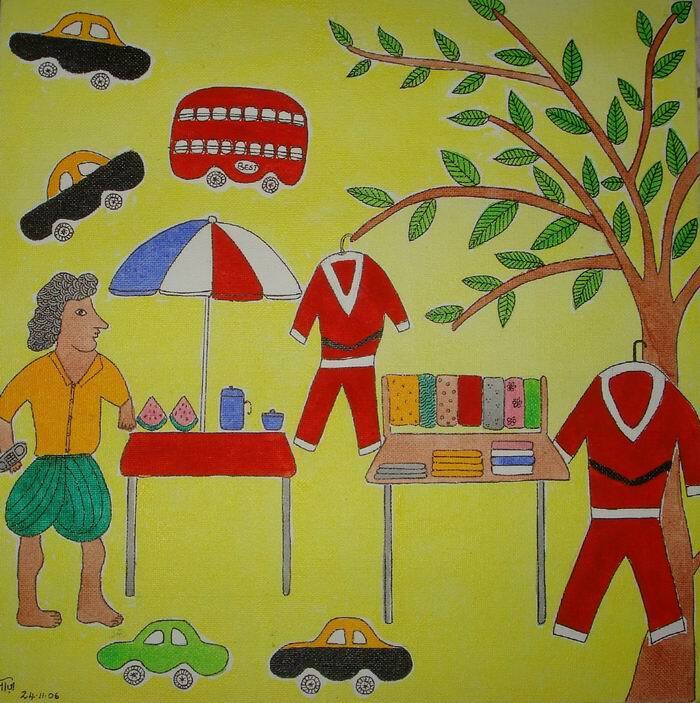 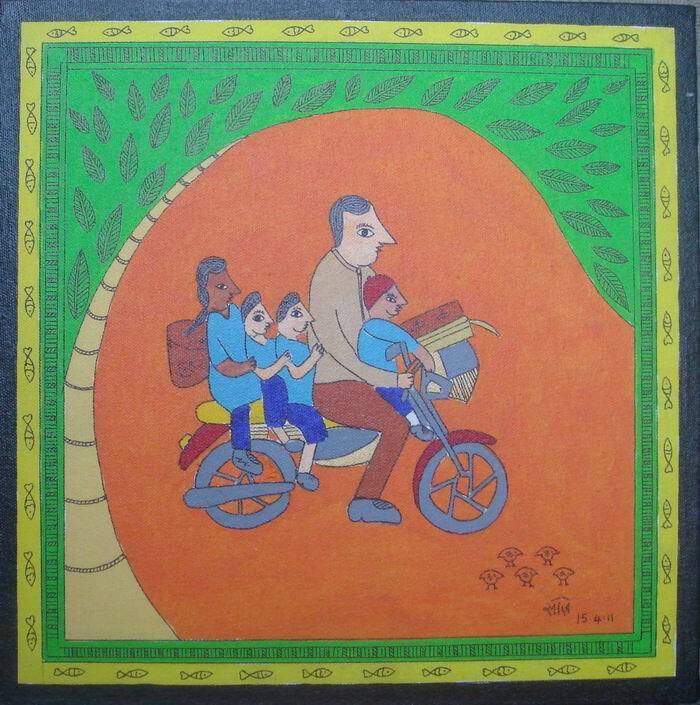 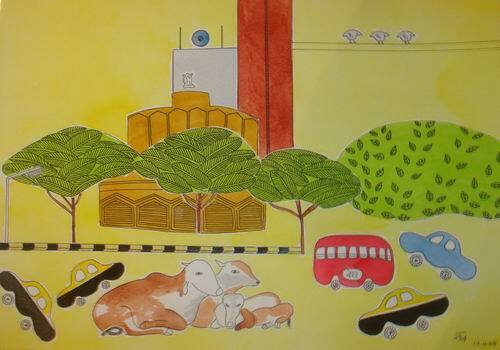 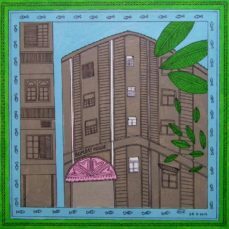 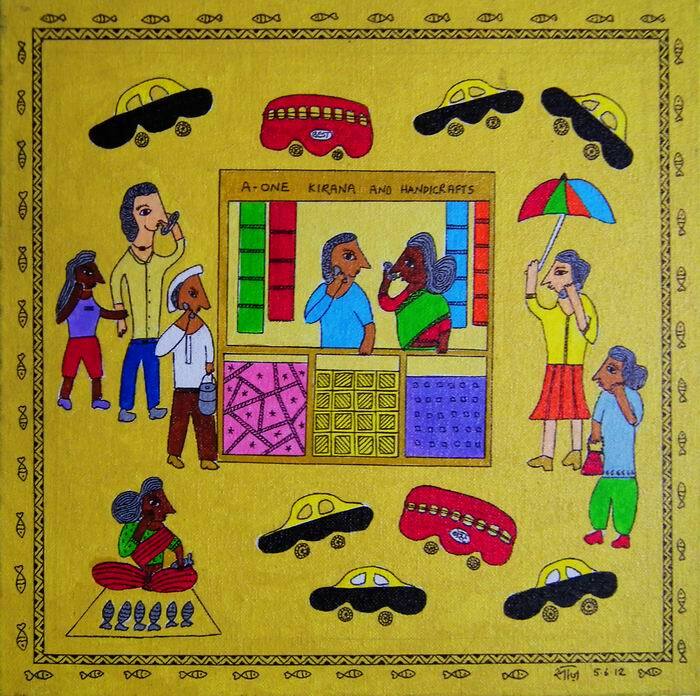 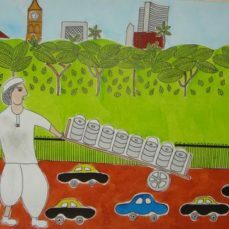 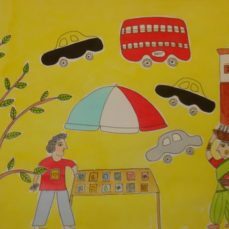 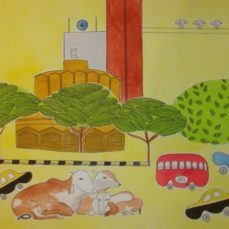 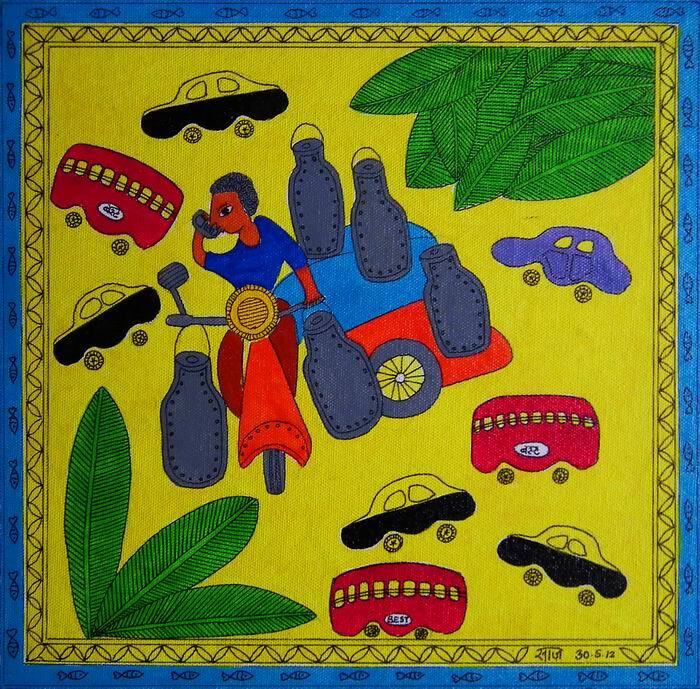 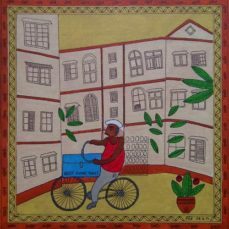 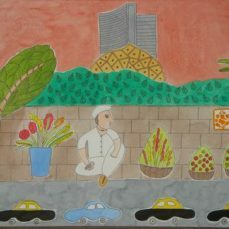 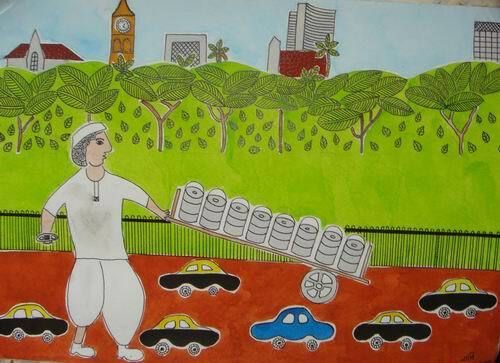 Bombay Clichés uses a traditional Indian folk style to depict contemporary Indian street scenes. 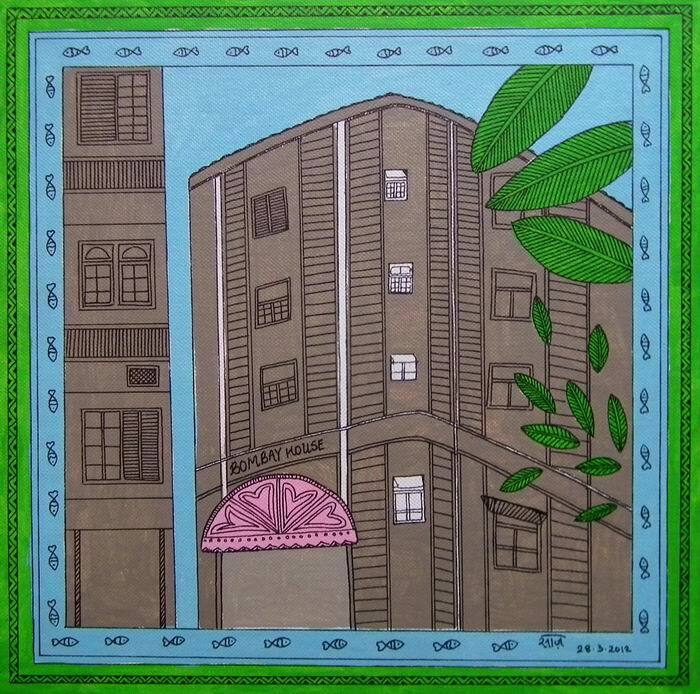 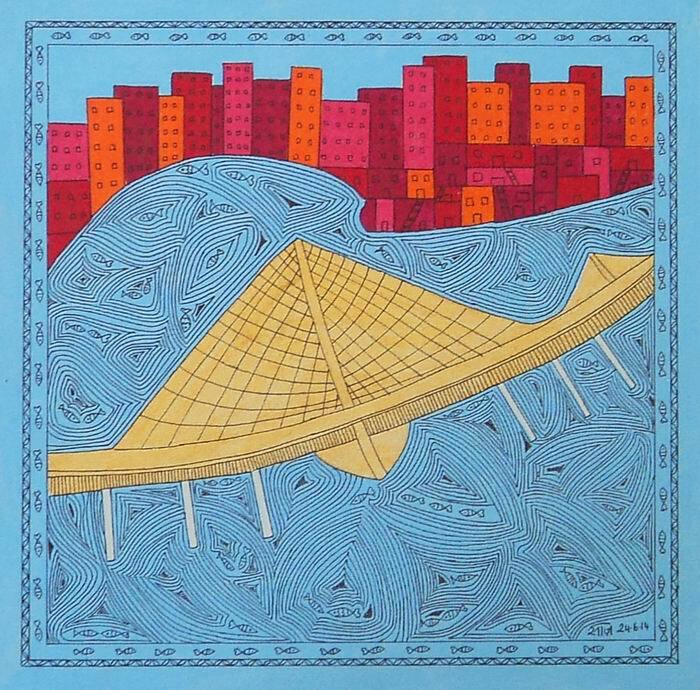 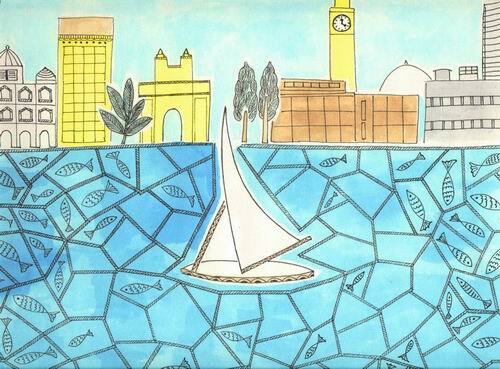 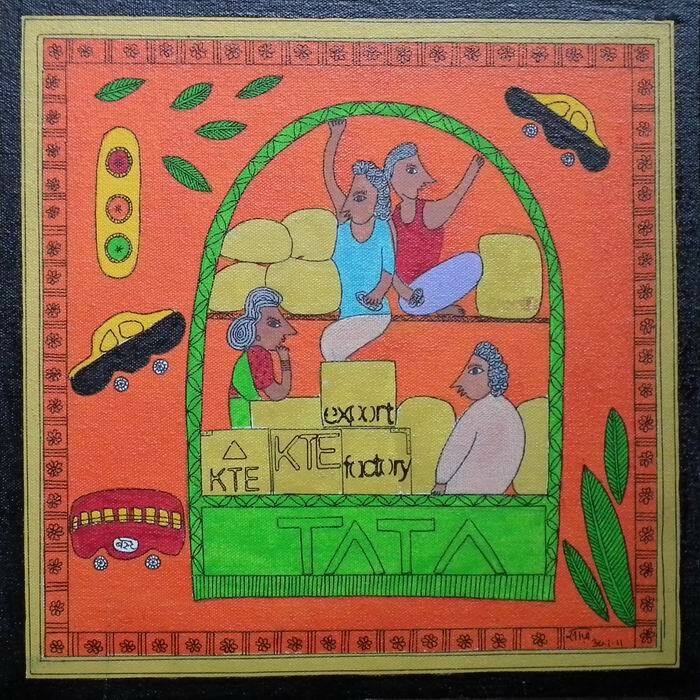 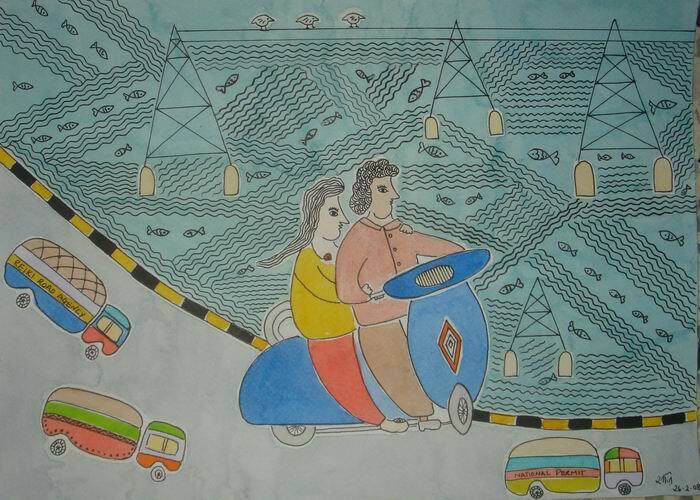 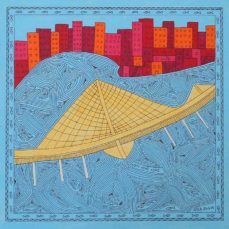 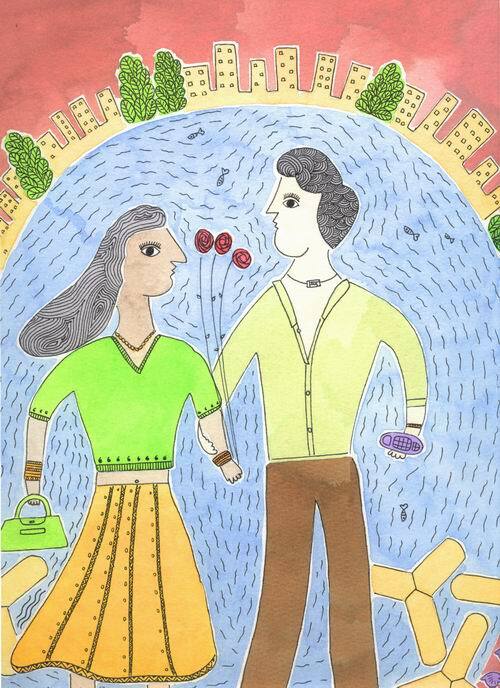 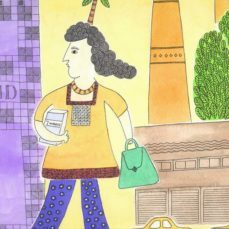 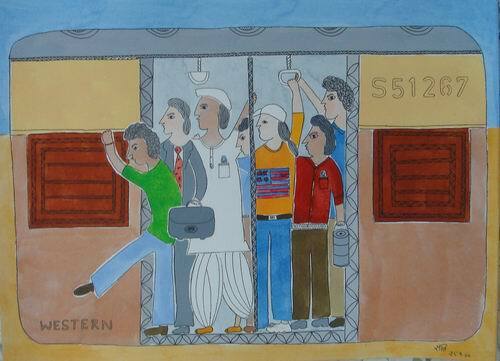 Bright colours and intricate pen work characterize Bombay Clichés. 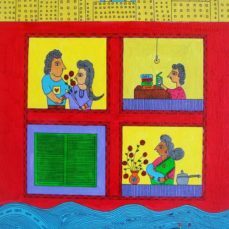 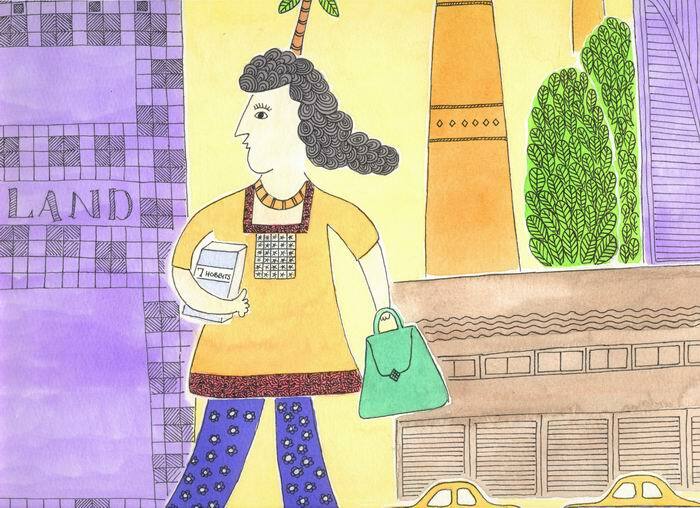 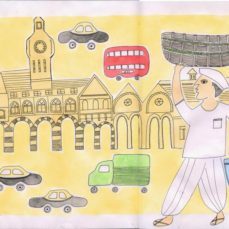 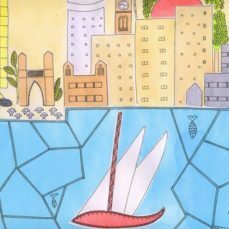 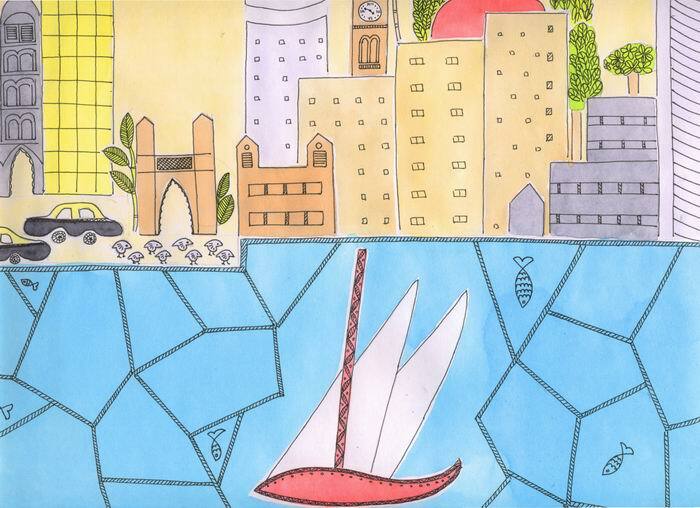 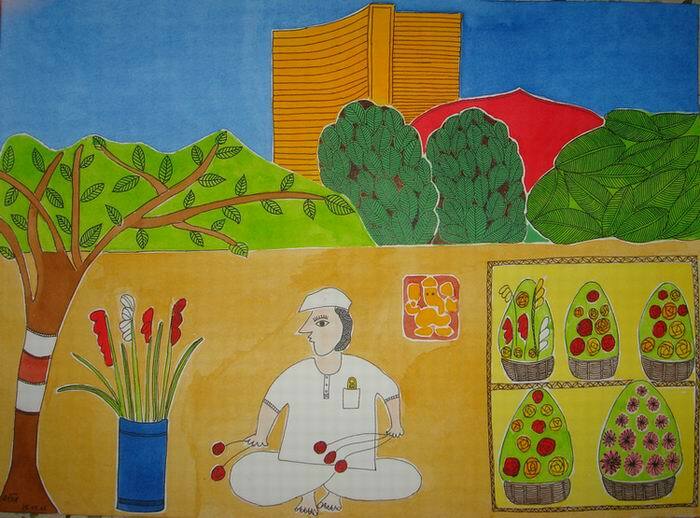 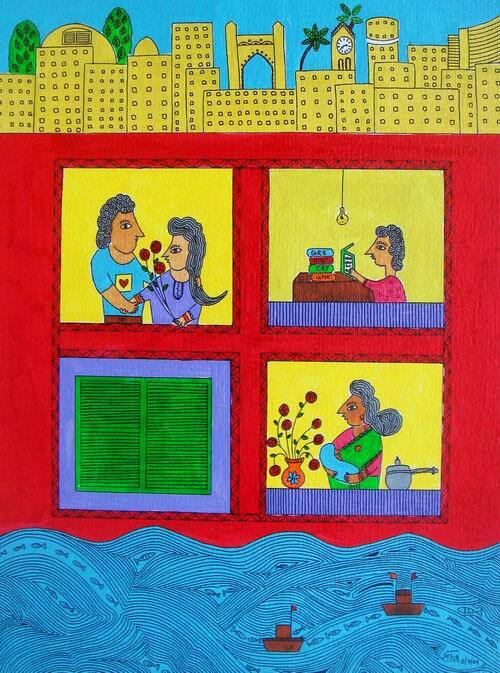 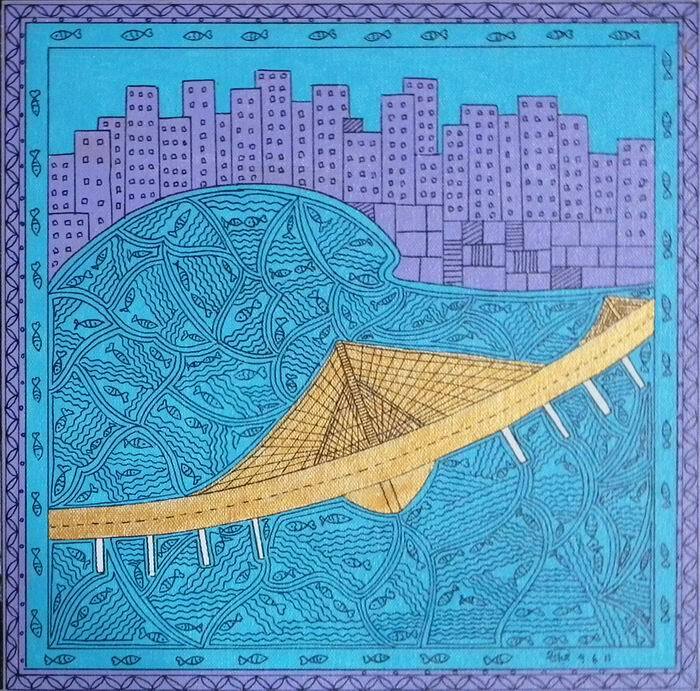 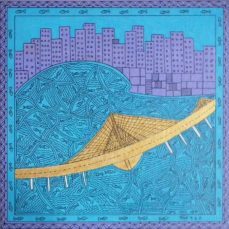 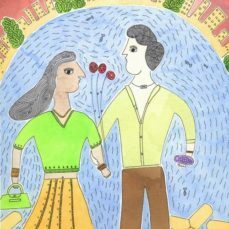 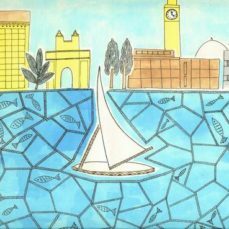 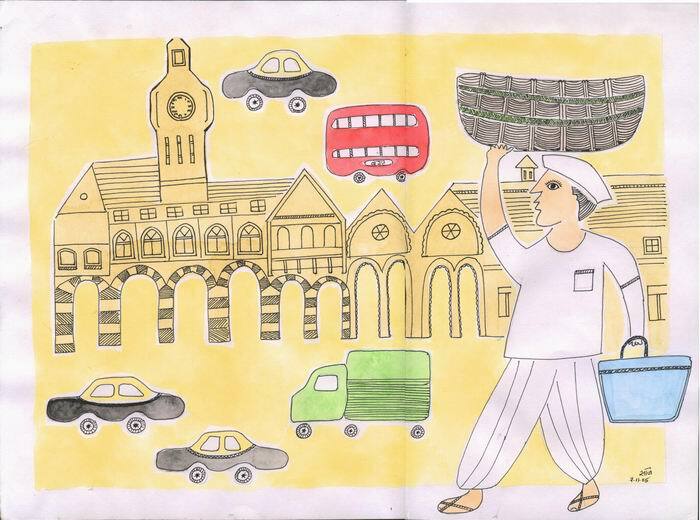 Bombay Clichés illustrate stereotypical urban Indian characters, situations and skyline. 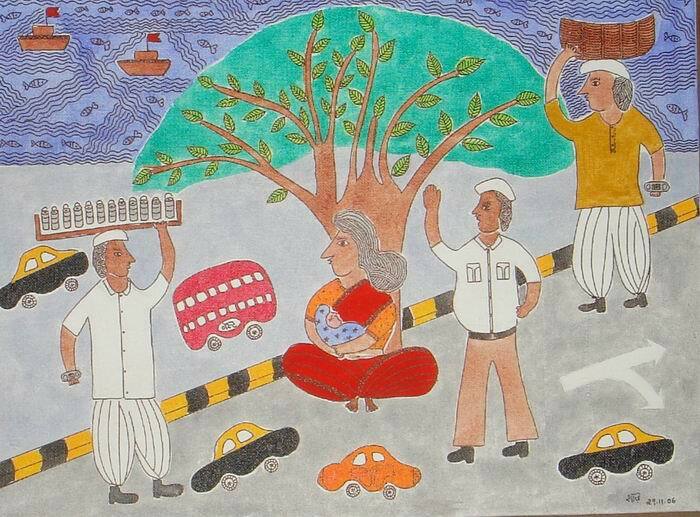 Walk down the streets of any Indian town to get a glimpse of these people and scenes! 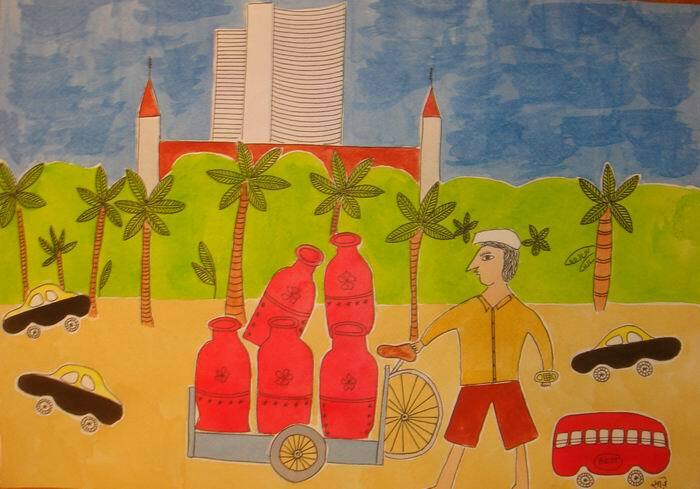 Water colour on art paper, 2006 Dimensions: 20.5"x17.5" For sale. 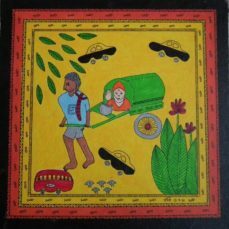 Rs18,000. 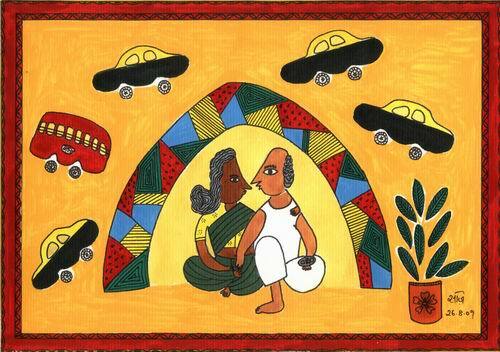 Acrylic on art paper, 2009 Dimensions: 13.5"x10" For sale. 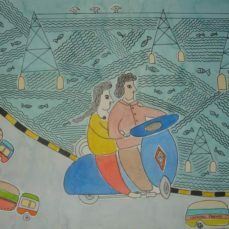 Rs9000. 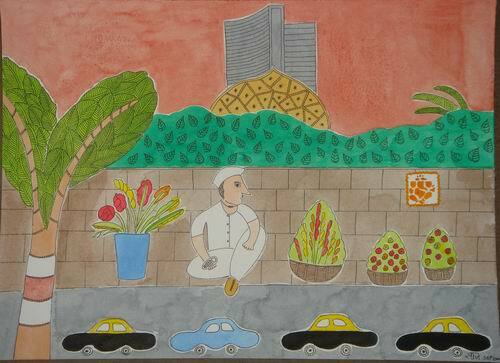 Water colour on art paper, 2008 Dimensions: 13.5"x10" For sale. 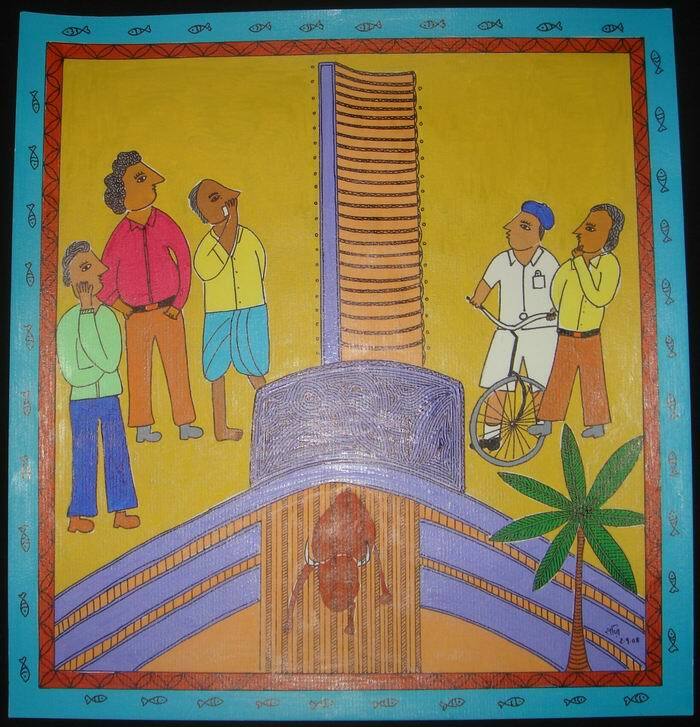 Rs18,000. 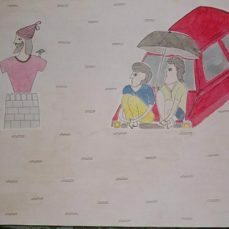 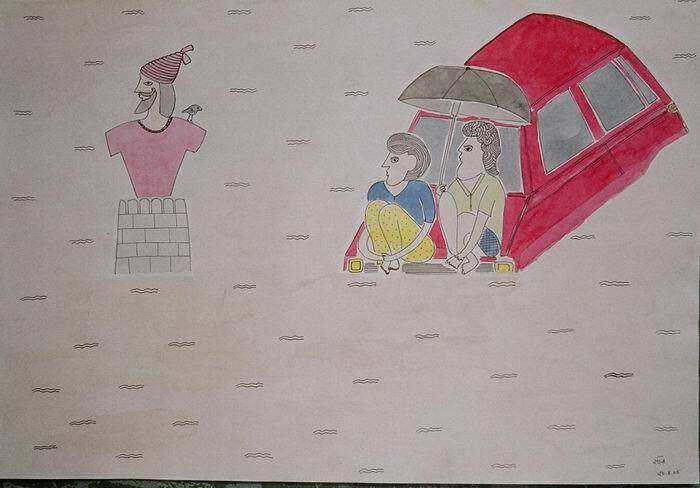 Water colour on art paper, 2005 Dimensions: 20.5"x17.5" For sale. 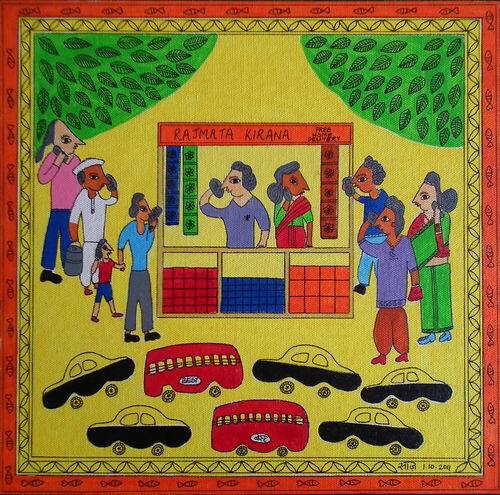 Rs18,000. Acrylic on canvas board, 2008 Dimensions: 12.75"x13.75" For sale. 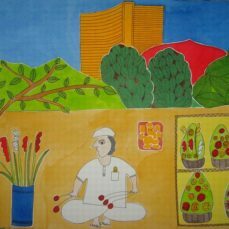 Rs15,000. 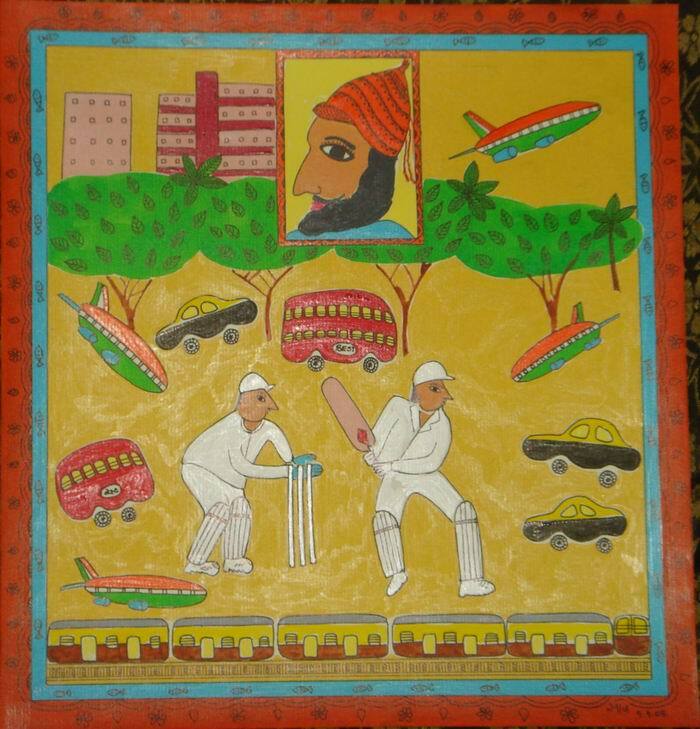 Acrylic on canvas board, 2008. 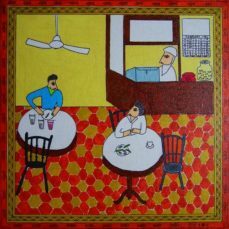 Dimensions: 12.75"x13.75" For sale. 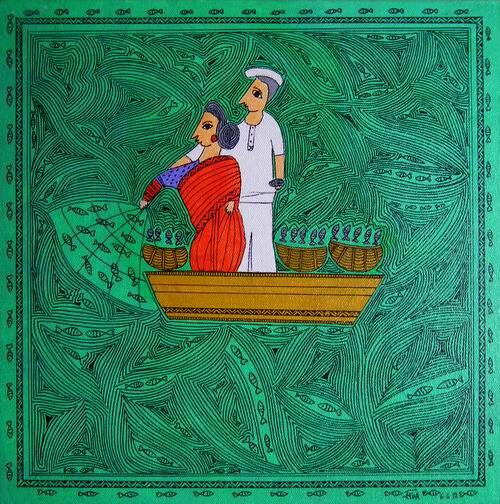 Rs7500. 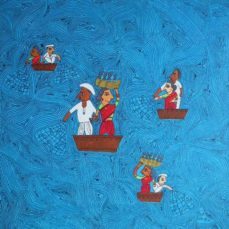 Acrylic on canvas board, 2010. 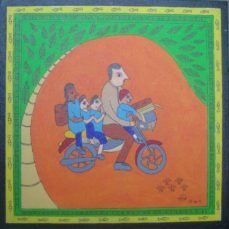 Dimensions: 12"x12" For sale. 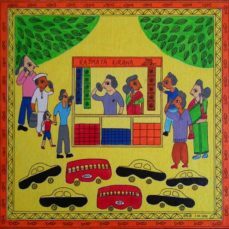 Rs15,000. 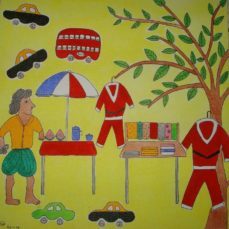 Acrylic on canvas board, 2011. 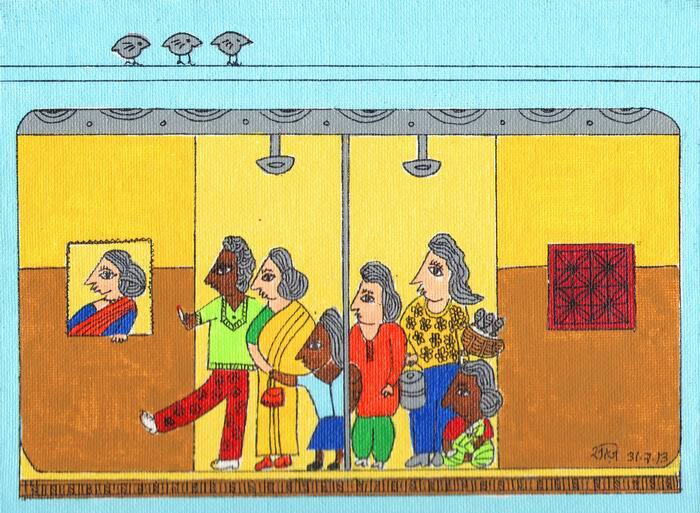 Dimensions: 6"x8" For sale. 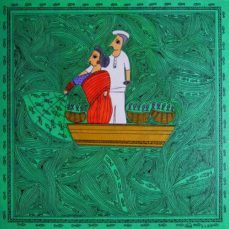 Rs7500. 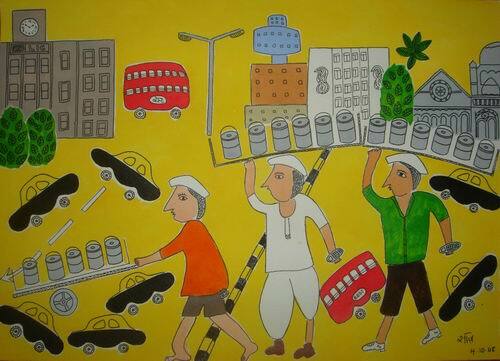 Acrylic on canvas board, 2014. 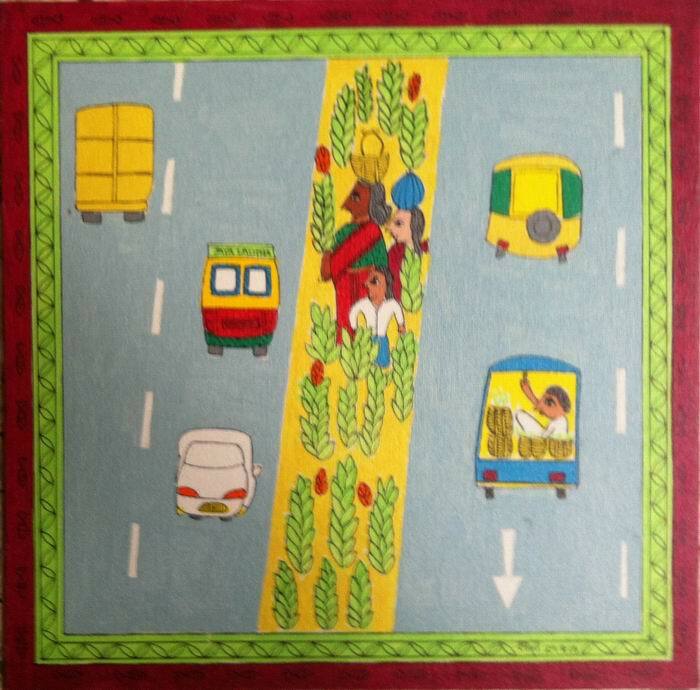 Dimensions: 10"x10" For sale. 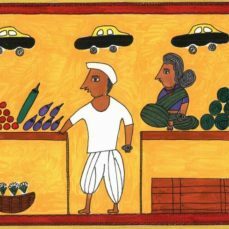 Rs12,000. Acrylic on canvas board, 2008. 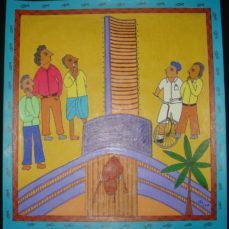 Dimensions: 12"x12" For sale. 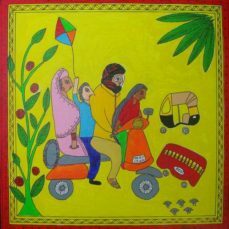 Rs15,000. 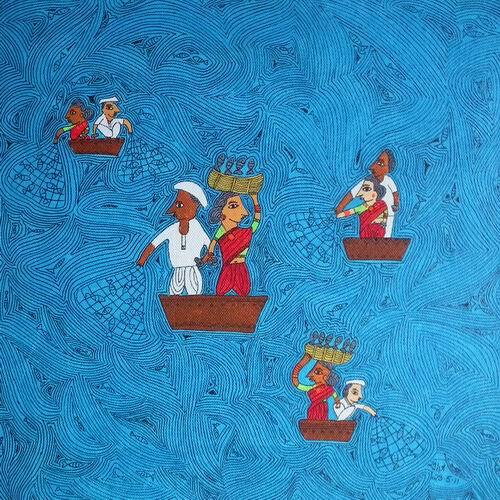 Acrylic on canvas board, 2010. 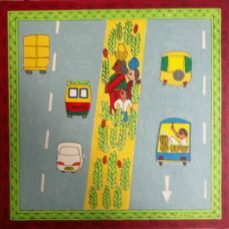 Dimensions: 12"x10" For sale. 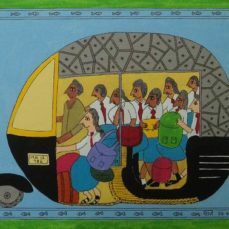 Rs12,000. 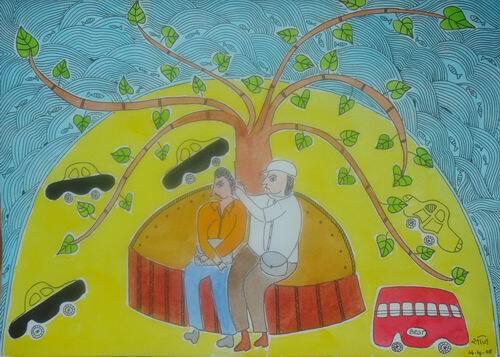 Water colour on art paper, 2005 Dimensions: 13.5"x10" For sale. 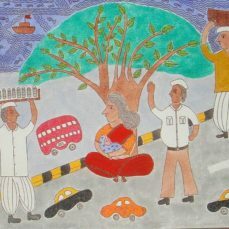 Rs18,000.